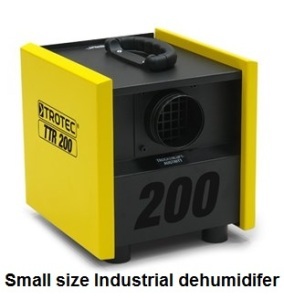 While there are different types of dehumidifiers available with different operating principles, desiccant de-humidifiers are generally used for industrial applications. The principle of operation is that the humid air is constantly circulated through a desiccant which absorbs the excess moisture from the air and thus the humidity level can be controlled. The desiccants used are materials like Zeolite, silica gel or similar material which has high moisture absorption capacity.These are known as desiccant type dehumidifiers. Another principle utilized for dehumidifiers is compressor type which will have an evaporating unit and the air is processed for removal of moisture from the air. The air is condensed for de-humidification.These are called condensation type dehumidifiers. 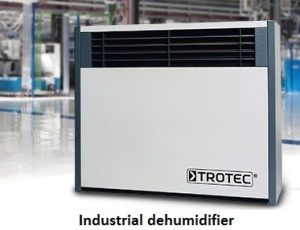 Vacker has signed agreement with Trotec, Germany for their entire range of commercial and residential dehumidifiers. 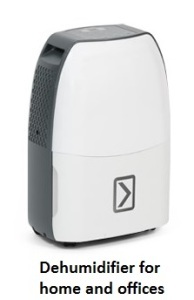 Please readon for various models of dehumidifiers.